Kimberly is the Founder and President of Empyrion Wealth Management™ and the author of Wealthy by Design: A 5-Step Plan for Financial Security. Kimberly Foss, CFP®, CPWA®, is the Founder and President of Empyrion Wealth Management™ and the New York Times bestselling author of Wealthy by Design: A 5-Step Plan for Financial Security. She brings both technical expertise and real passion to her work with her clients, including affluent family stewards, women in transition, and thriving retirees. Kimberly shows her clients that it’s possible to seize control of one’s own financial destiny. She is committed to helping her clients make wise investment choices while avoiding costly mistakes in building wealth. Kimberly began her career at Merrill Lynch as the youngest female account executive at the time. She later left the commission-driven environment of a stock brokerage firm to found E&A Investment Advisory, which was renamed Empyrion Wealth Management™ in 2002. Now Kimberly frequently shares her financial expertise with leading media outlets, including The Today Show, Good Morning America, CNBC, Fox News, Fox Business, The Wall Street Journal, MSN Money, Forbes, Investor’s Business Daily and U.S. News & World Report. Certified Financial Planner (CFP®). Kimberly has met rigorous standards and has agreed to adhere to the principles of integrity, objectivity, competence, fairness, confidentiality, professionalism, and diligence when dealing with clients. Certified Private Wealth Advisor (CPWA®). This certification is an advanced credential created specifically for wealth managers who work with high-net-worth clients, focusing on life cycle of wealth, accumulation, preservation, and distribution. This certification is given to candidates who learn to identify and analyze challenges high-net-worth individuals face, and understand how to develop specific strategies to minimize taxes, monetize and protect assets, maximize growth, and transfer wealth. Financial Planning Association. 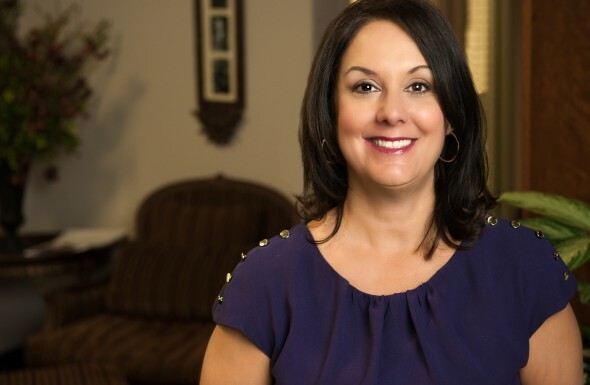 A member since 1991, Kimberly is dedicated to supporting the financial planning process in order to help people achieve their goals and dreams. The FPA believes that everyone needs objective advice to make smart financial decisions and that when seeking the advice of a financial planner, the planner should be a CFP® licensee. B.S. in Business from Chico State, A California State University. 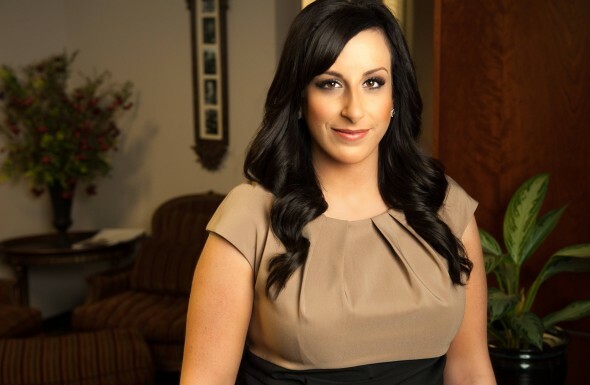 As the pioneer of Empyrion Wealth Management’s service approach and process, Renee is driven by an unwavering commitment to providing every client with a consistent, superior experience. An industry veteran, Renee brings more than 30 years of professional knowledge, talent and skill to her role as Director of Client Services. Since joining the firm in 1999, Renee’s work has been pivotal in improving Empyrion’s service model and process, leading to successful outcomes for our clients. Today, Renee is the strategic liaison between clients and custodians, and is the primary driver of Empyrion’s operations and onboarding processes. She also takes the lead in setting up accounts, preparing for client reviews and processing distributions and transfers. In every aspect of her work, Renee consistently goes above and beyond to address client needs and questions in an efficient, personal manner. Renee holds a Bachelor of Science (B.S.) degree from California State University-Chico and an Associate’s degree (A.A.) from Butte College. To further enhance her capabilities and grow her industry knowledge, Renee earned the Financial Paraplanner Qualified Professional (FPQP™) certification through the College for Financial Planning® in June 2014. Marcy is deeply committed to ensuring a successful, streamlined experience for every client of Empyrion Wealth Management and supports the team with the resources necessary to ensure an unparalleled level of service. With more than a decade of experience in the business management and client service arenas, Marcy works hand in hand with the Empyrion Wealth Management team to understand every client’s unique situation. She provides thorough, prompt support to ensure clients’ needs and questions are addressed efficiently and supports the financial planning process by developing Monte Carlo projections that allow the Empyrion team to help clients plan for and achieve their financial goals. Marcy is dedicated to enhancing her own professional expertise and skills to better serve clients. In April 2016, she earned the Financial Paraplanner Qualified Professional (FPQP™) certification through the College for Financial Planning®. Marcy has also been appointed as a Notary Public by the California Secretary of State, which allows her to help certify and oversee the execution of important planning documents on behalf of Empyrion clients and associates. Investment Management Consultants Association® (IMCA®) is the owner of the certification marks CPWA® and Certified Private Wealth Advisor®. Use of CPWA® or Certified Private Wealth Advisor® signifies that the user has successfully completed IMCA’s initial and ongoing credentialing requirements for wealth advisors.